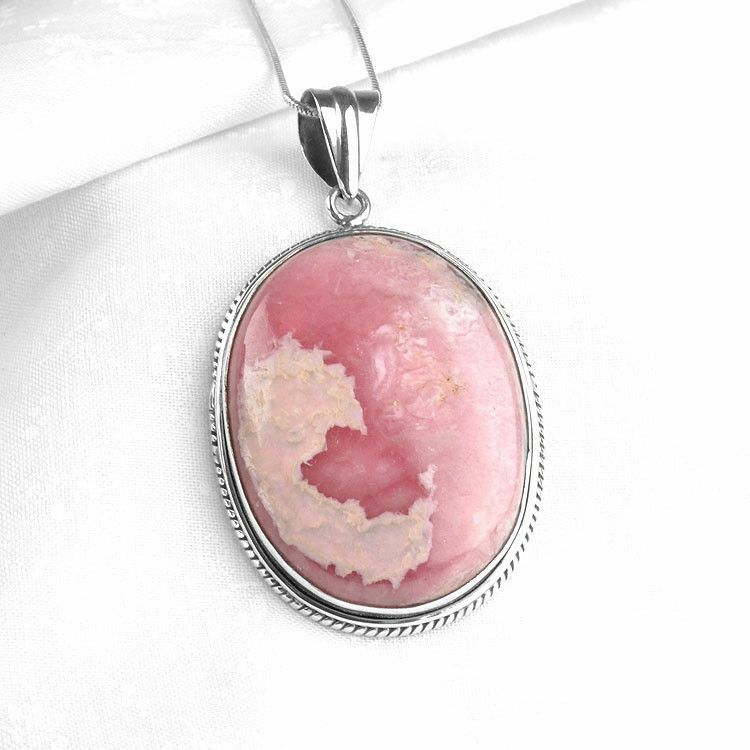 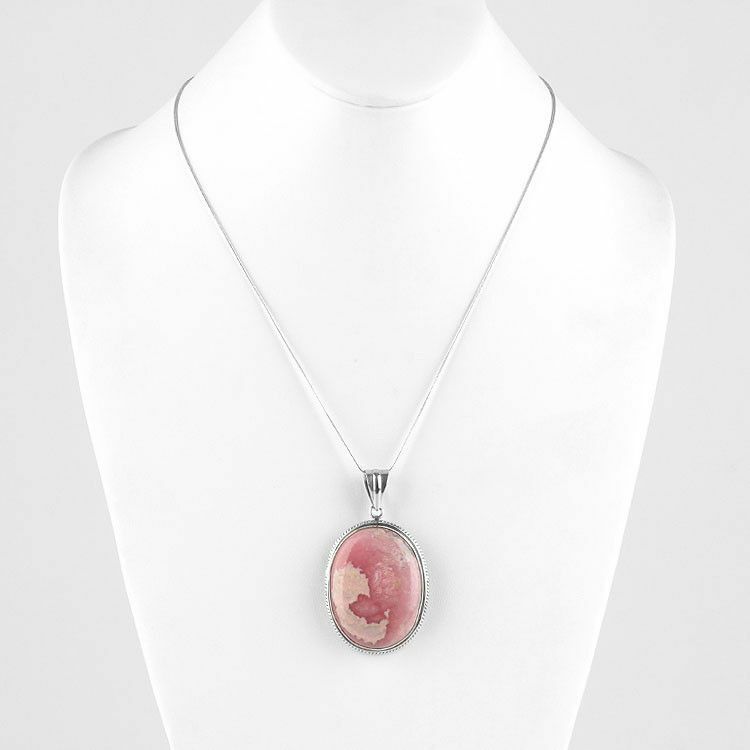 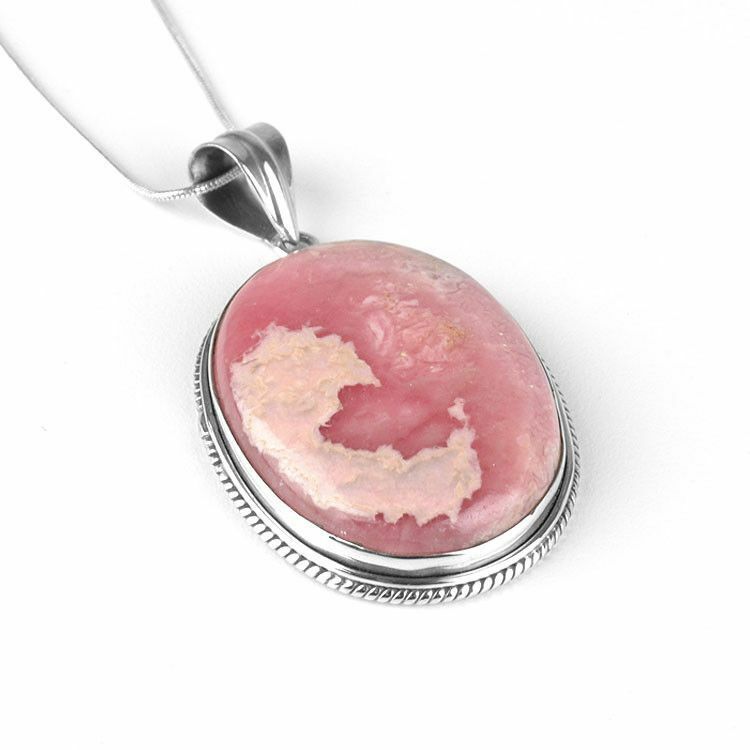 This elegant, natural rhodochrosite gemstone pendant measures 1 1/2" x 1 1/4" and is a one-of-a-kind. 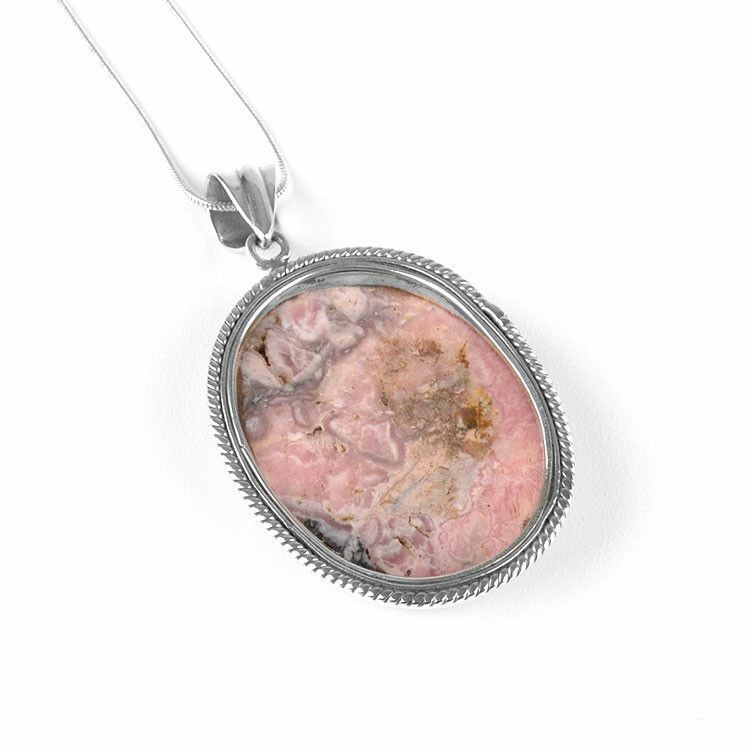 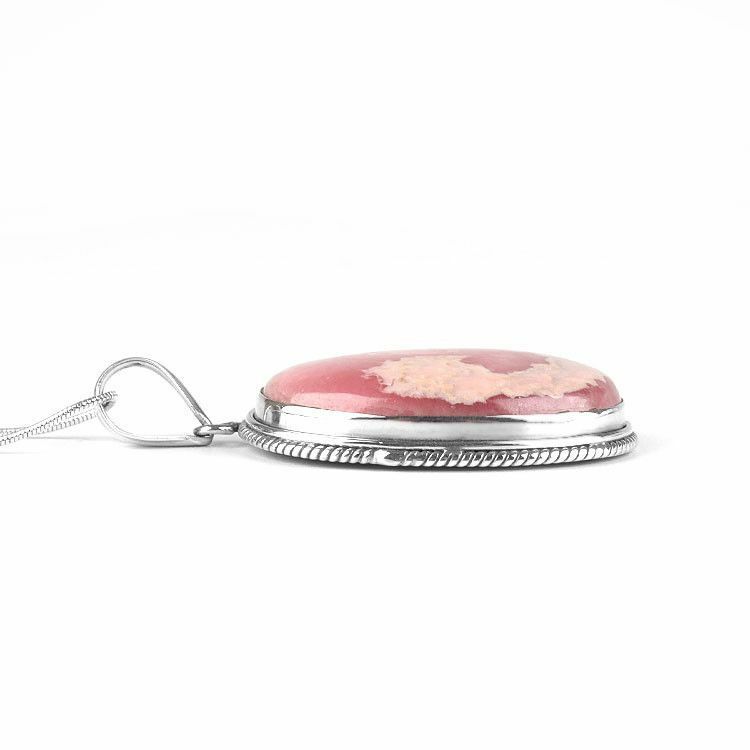 It is set in sterling silver and has a stunning appearance of natural dark and light pink. 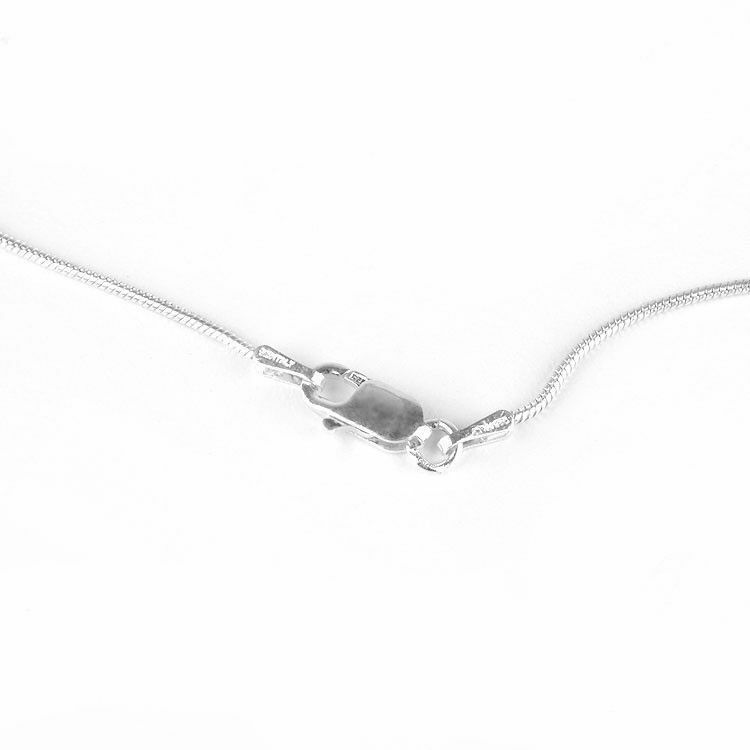 A 20" long sterling silver chain with standard lobster claw clasp compliments the pendant.